Dr. Chu has been an occupational therapist since 1999. She has more than 15 years of clinical experience and has developed expertise in stroke, neurological conditions, Lifestyle Redesign, and patient education. After completing her bachelor’s and master’s degrees in OT from USC, she began her career at Pediatric Therapy Network, specializing in the sensory integration approach and providing services within early intervention programs, classrooms, and clinic-based settings. In 2004, she changed her area of practice to adults with physical disabilities and joined the world-renowned Rancho Los Amigos National Rehabilitation Center. While there, Dr. Chu practiced across the continuum including acute care, inpatient, and outpatient services. As a senior clinician, Dr. Chu served as a mentor to colleagues and students and was instrumental in developing and implementing various programs including establishing the occupational therapy program on the brand new Acute Stroke and Neurology Service, leading the Outpatient Day Rehabilitation Program for patients recovering from stroke, and overseeing the development of a hospital-wide patient education program for clients recovering from stroke. 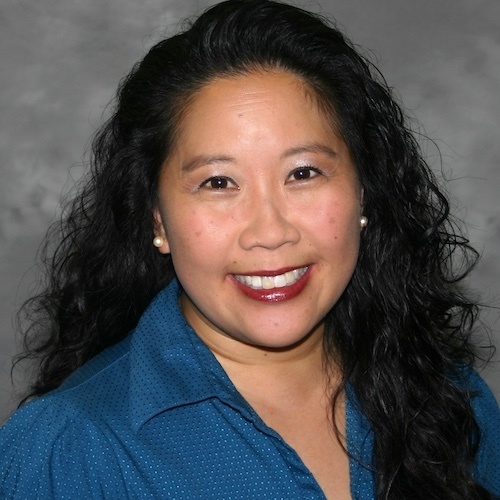 Dr. Chu returned to USC in 2009 to complete her Clinical Doctorate in OT. Her doctoral project involved designing and implementing, “Live Your Best Life,” an Occupational Therapy intervention informed by Lifestyle Redesign® to assist stroke survivors with developing healthy habits and routines. Dr. Chu pioneered this program at Rancho for which she created modules, recruited patients, and trialed this approach with the stroke population. She served as a consultant within the Outpatient Department to help expand the development of additional Lifestyle Redesign programming for other populations at Rancho. Dr. Chu has also served as a guest lecturer and Voluntary Clinical Instructor for the USC OT department and assisted with research projects with the Los Amigos Research and Education Institute. Dr. Chu has received advanced practice approval by the California Board of Occupational Therapy in Physical Agent Modalities and is also certified in Neuro-IFRAH.